Cleaning up can be a daunting task for many people. But we always appreciate the end result when the cleaning is done. The ease at which high-quality artificial grass can be cleaned makes it more convenient. It is much easier to keep that space clean and safe at all times. In the case of natural grass, caring for your may be quite difficult due to the time consuming tasks of watering, cutting and maintaining your natural lawn. Call the best artificial grass and synthetic turf installation company in San Diego to get your natural grass replaced with artificial turf. It may difficult to achieve a uniform clean texture and color on the entire surface of your natural grass. There may also be holes to contend with, that may have been done by rodents or pets. Dog waste will also cause discoloration on some parts of your natural lawn. Dead and bare patches might also be difficult to prevent due to frequent play in that space. Installing artificial pet turf for a dog run and a synthetic turf playground or playground safety surfacing is a start in the right direction to have a clean safe play area for pets and children. Generally, with natural grass, you will have to contend with dust and dirt during the dry seasons and lots of mud during the wet season. Grass clippings are practically impossible to eliminate entirely. They form yellow and brownish patterns on your yard. The leaves and debris will also litter your lawn; some will get into your home as well. You also run the risk of your children and pets getting this dirt into your home causing more trouble and difficulty in cleaning. Natural grass can be very messy, and you will spend long hours daily trying to keep the inside and outside of your home. It is also quite hectic to monitor your children and pets at all times to prevent them from getting dirt and mud into your home. You can try to clean them up after playing but that is not practical. There is also the danger of slipping due to wetness. If you overlook a wet area, someone else could slip on that spot causing an injury. Some people suffer from allergies when they are exposed to pollen. Pollen tends to fall on the ground, and if it gets onto your pets or children, there may be a risk is they suffer from an allergy. People with these allergies try to avoid contact with pollen by keeping the grass cut very low at all times, but this is still not very effective. Why deal with these obstacles, have artificial turf installed today. Artificial grass will never contain pollen because it is synthetic. 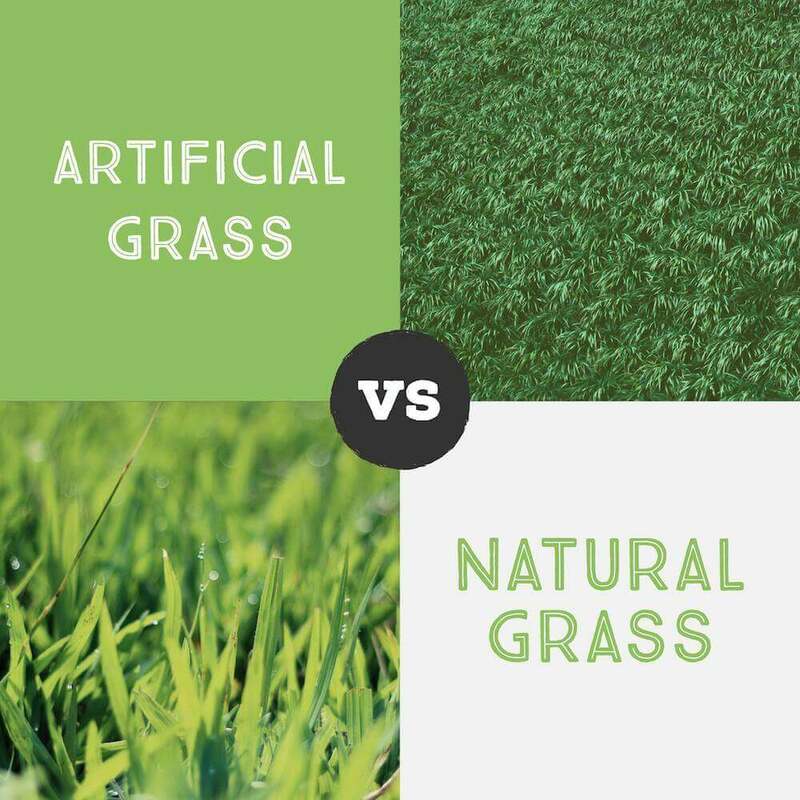 Aside from allergens, there are also certain toxic chemicals that can get into your home when you have natural grass growing around your home. Natural grass is often sprayed with pesticides and fertilizers. Little amounts of these chemicals can get into your home through shoes and clothes as well your pet’s paws and can be harmful. These issues will not be experienced with artificial lawns. With artificial grass, there will be no dirt, mud, pollen or harmful chemicals to worry about. You will definitely have peace of mind knowing your home will be in pristine condition, inside and out. So it’s a no brainer to have synthetic turf installed. It is easy to maintain, and you don’t have to bother with continuously cleaning your home and yard. To get your free artificial grass estimate today, or if you have any questions about our great service, contact the professionals at the top artificial grass and synthetic turf installation company in San Diego.